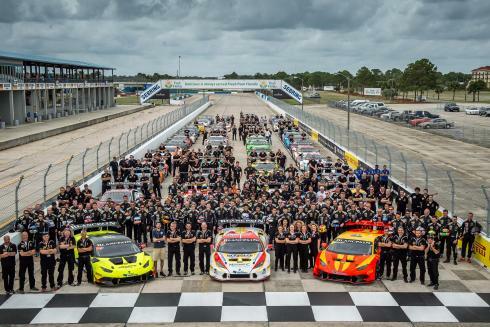 Centigrade executed the first ever U.S Super Trofeo World Final, providing the series coordination, competition, hospitality and logistical support for over 3000 drivers, team members, VIP guests, partners and spectators from Asia, Europe and North America. 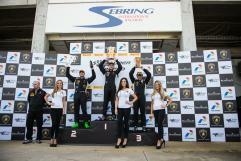 The Lamborghini Super Trofeo World Final was held at the historic Sebring International Speedway in Sebring Florida. The culmination of 30 regular season races held on three continents, the World Final saw pro, pro-am and am drivers battle for the prestigious world champion titles. This US World Final was three years in the making, with previous World Finals being held in Europe and Asia. A total of 66 Lamborghini Huracán and Gallardo Super Trofeo race cars lined up on the starting grid throughout the weekend. 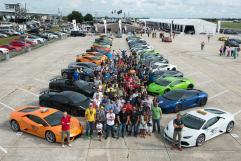 Centigrade was also responsible for keeping all the cars running with the management of the spare parts operation. Two 55 foot trailers fully stocked with everything from engines to body panels, wheels to washers. Centigrade provided the onsite sales team and technical expertise to support all the teams. During the four day event Centigrade managed the hospitality experience which included serving gourmet hospitality for up to 650 VIP guests. 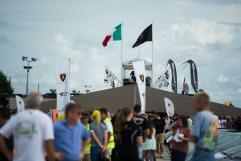 As always, we would like to thank Automobili Lamborghini and all the supporters that made the Lamborghini Super Trofeo World Final a phenomenal success. With the roar of the engines still ringing loud, Centigrade is looking forward to the beginning of the next season.